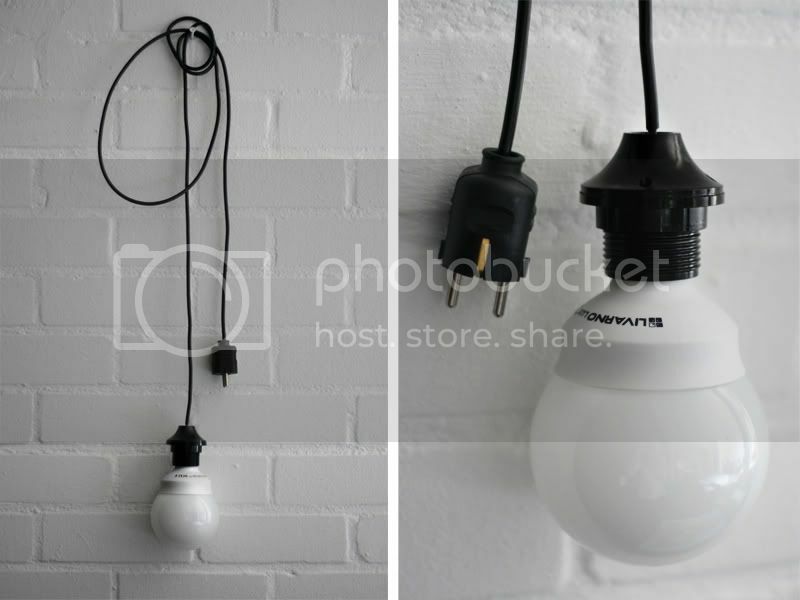 You'll need a plug, a wire, a fitting for your lamp and a large lightbulb. 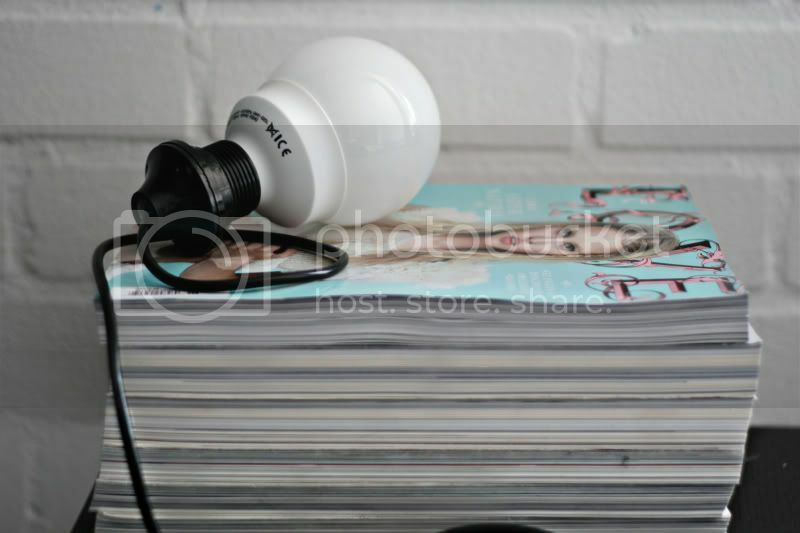 (Be sure to use an energy-efficient lamp which doesn´t get hot.) Connect them and you're done. Even I, so non technical that sometimes I can't even figure out how a printer works, can make this. You can lay this lamp on the table when reading, wrap it around a hook on the wall or carefully tie it around a high piece of furniture. I love the look of just a simple lightbulb with a wire. Maybe I will do the same thing.. This is so cool.. Has always wanted one myself! This reminds me of Bauhaus (the interior designing school) :) I knew light from the socket must exist!! Because I have been planing on making a light system over my bed (three Ikea Laternballs) but the problem is I have only one main light place in my room but millions of sockets. And I was always wondering if I could connect a lightbulb to my socket. Taaadaaa! Thanks so much!! I've always loved bare light bulbs. ziet er nog leuk uit ook! net of je heel innovatief bent! vraagje: kun je misschien dat tijdschrift dat je daar hebt liggen eens 'reviewen'? ben benieuwd hoe het is! amazing idea! I have the same LOVE cover. Isn't that editorial from Mert & Marcus and Katie Grand amazing! I love the minimalist, no-fuss look. wauw geweldig ! altijd leuke DIY's hier ! I think you will want to place a facebook icon to your website. I just marked down this blog, but I must make it manually. Simply my 2 cents. Simpel, maar zo leuk! Ik heb nog een leeslampje nodig in de slaapkamer, ik denk dat ik m zelf ga maken! you and your amazing DIYS! you are such a source of inspiration! Thank you! simplistic. the cure of not having enough light when you're reading something. it looks great. I love the fact that this is on a fashion blog. Heyа i'm for the first time here. I found this board and I find It truly useful & it helped me out a lot. I hope to give something back and help others like you helped me. minе. Please send mе аn e-mail іf interested.